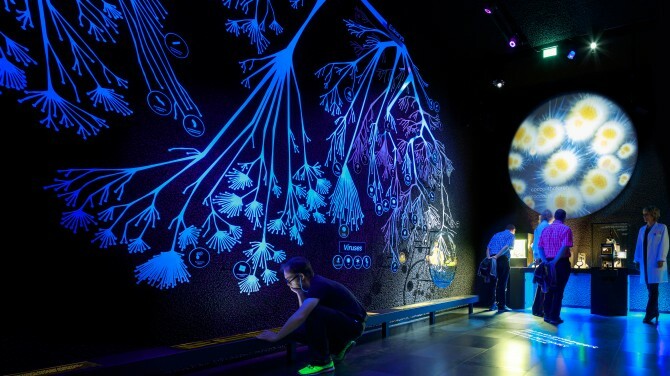 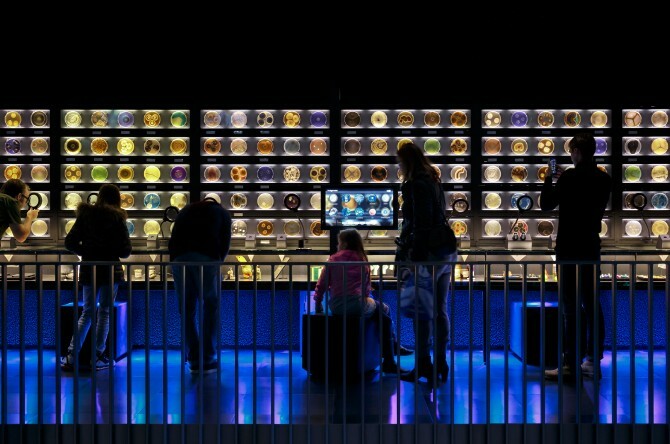 Micropia is a unique museum that is set to inspire the general public, encouraging their interest in microorganisms and microbiology. 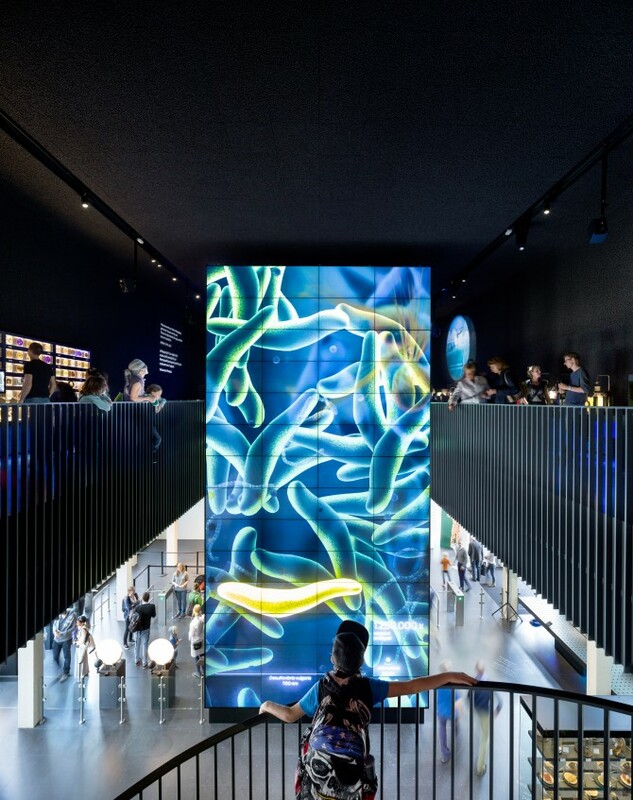 The visual and the experiential are central, while the focus is firmly on the mostly positive relationship between microbes and humans. 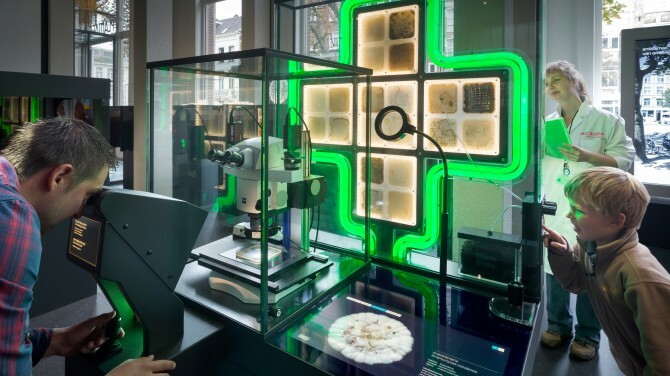 Micropia aims at becoming also an international platform for microbiology that brings diverse interest groups together in order to brigde the gap between science and the general public. 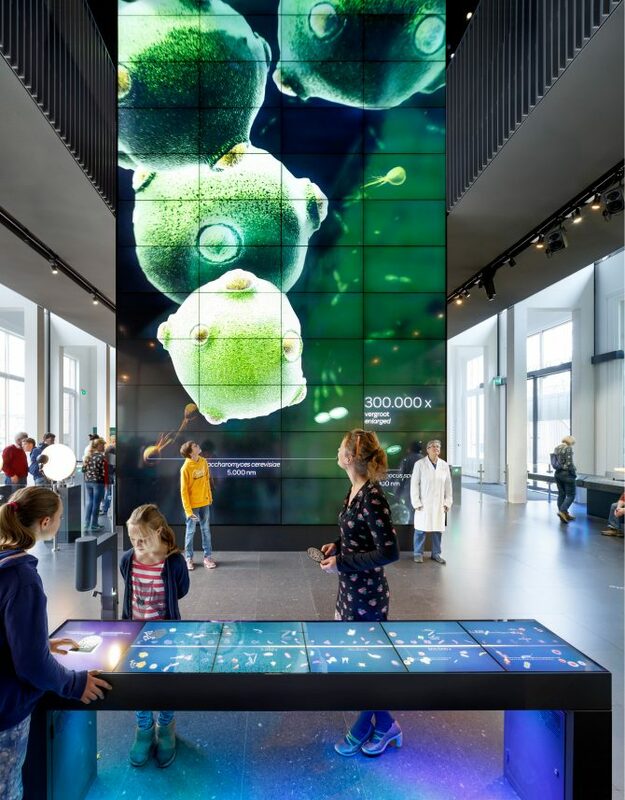 Dramatic differences in size between various microscopic life forms can be seen on an almost 10 x 5 metre reactive monitor wall, on which microbes swim as though in an aquarium. 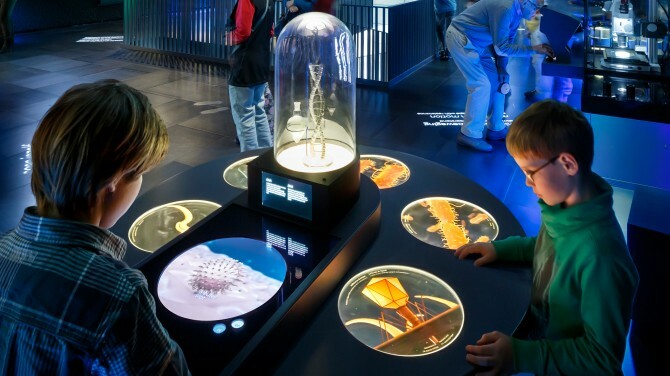 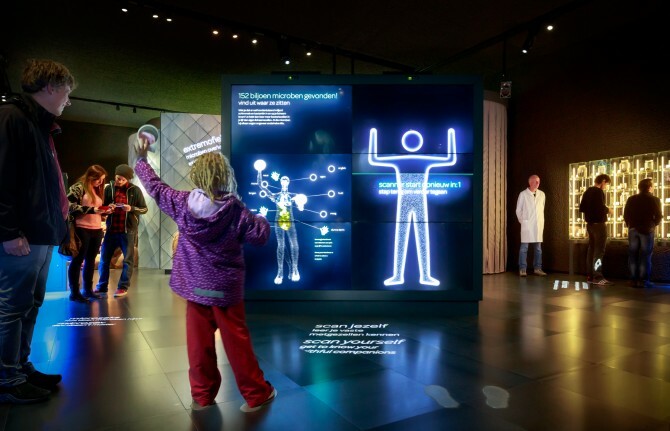 In an interactive “extremophile“ panorama, visitors experience microbe life in places of extreme conditions such as radioactivity or cold. 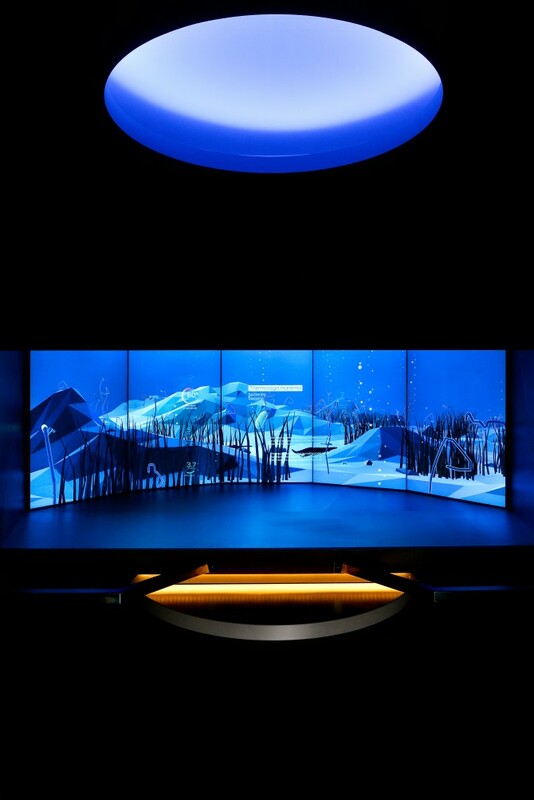 The virtual microorganisms float thanks to a special projection technique with dynamic 3D landscapes. 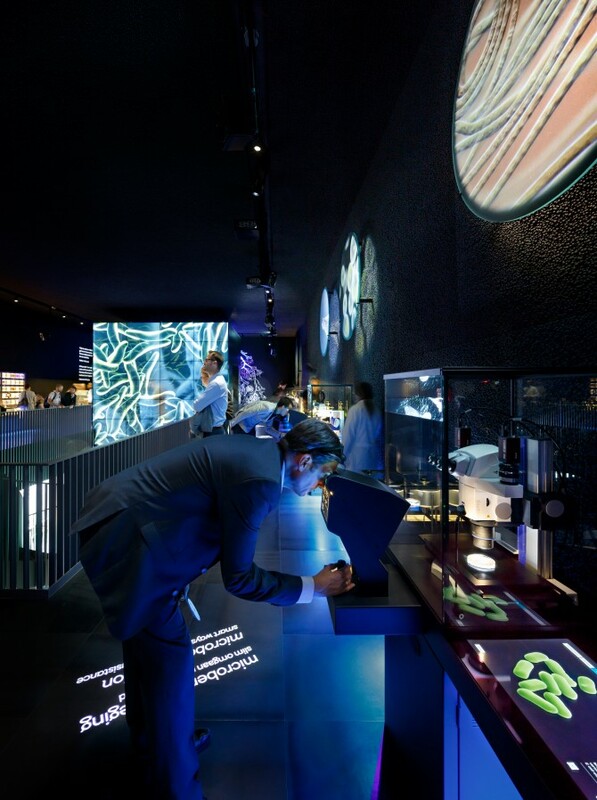 Alongside the microbes, the visitor is central to the exhibition — and on a number of levels: as observer, interactive agent and researcher, and as a valid object of self-exploration. 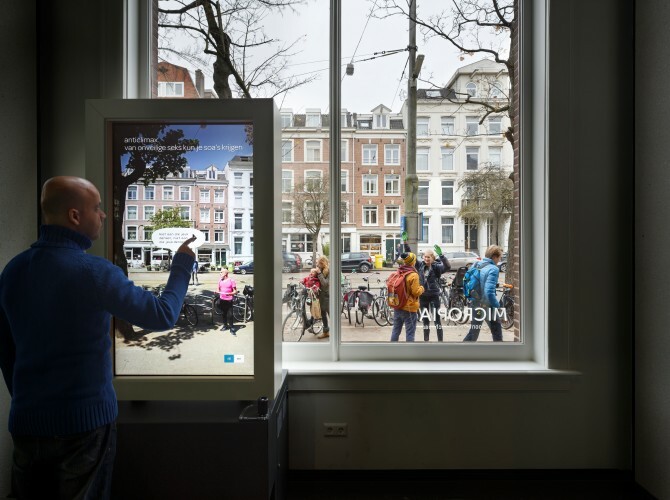 The exhibition was designed by Kossmann.dejong, an Amsterdam-based exhibition design studio, in collaboration with ART+COM Studios. 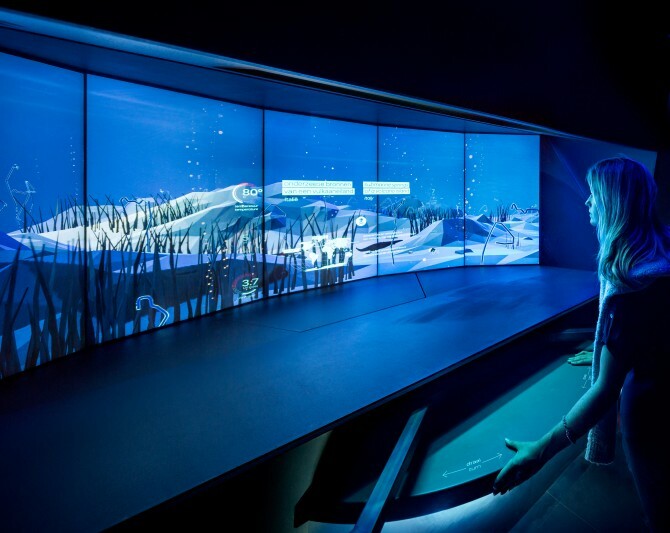 While Kossmann.dejong were responsible for the overall concept and scenography, ART+COM worked primarily on the conception, design and development of the media exhibits, from the very earliest sketches through to interaction design, programming and hardware design.